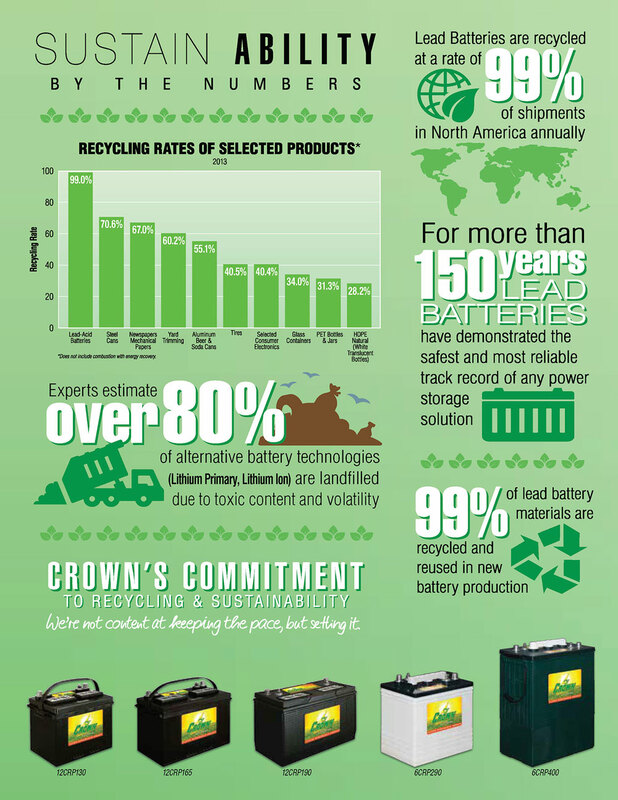 Crown Battery specializes in deep cycle flooded batteries and their CRP Power Module Series is the culmination of years of experience and investment in advanced battery manufacturing processes. Crown CRP Power Modules are high capacity 2-volt cells encased in individual steel trays. Built at Crown’s highly automated manufacturing facility in Fremont, Ohio, these batteries feature heavy-duty cast-on strap and terminal post structures, thick lead plate with properietary plate design, and Crown’s own active material manfactured on-site at Crown’s manufacturing facility.